This was a client referral from a neighbour who we previously carried out some work for. As you can see from the photo their fascia boards were in real need of come tlc and cleaning. 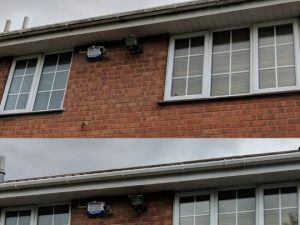 We removed all of the debris and small blockages from the gutters and also cleaned all of their fascias, soffits, windows and the exterior of the guttering. Our results as always were fantastic and our client was very happy with the final result. If you have your gutters and fascias cleaned with us, as an added bonus we clean your windows for FREE, as part of the service. 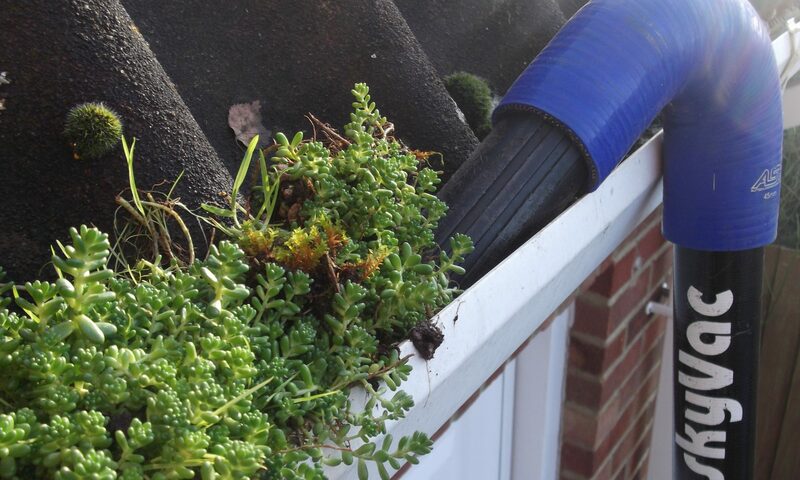 We always advise that you have your gutters cleaned once a year to ensure they remain blockage free.